Timestamps: [0:00:15] Review and reaction of s1e1-2. [0:24:47] Impressions of the remainder of season 1 and all of season 2. [2:03:16] Review and reaction of season 3. Voltron: Legendary Defender, Shiro, Keith, Lance, Princess Allura, and all related characters and intellectual property belong to DreamWorks, World Events Productions, Studio Mir, Netflix, and any other person or entity they belong to not explicitly named here. This video is a review and uses clips to illustrate our points; it is Fair Use by law and in practice in both Canada and the United States of America. 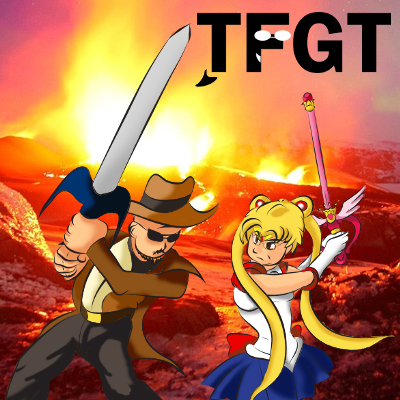 Questions/concerns should be directed to tfgtg2@gmail.com with the subject line "Re: Voltron Anime Rave reviews." I can't find the video but somewhere I recommended 'Made in Abyss'. I half way take back that recommendation, it dose have amazing world building but dose alot of messed up stuff to relly young characters and I'm beginning to glimpse the creators intrusive thoughts. Hmm... noted. We still might check it out. I am amused that both of you avoided the most popular ship of Keith/Lance klance, go Plance. Nega Shiro is so a clone all of the fandom has called it. Keith needs a boyfriend. Good work on your review. Graci. I 100% support gay Keith, and if the show made Klance canon, I would not complain. In fact, I shipped Plance before I realized Pidge was a girl. Keith x Matt maybe? What do you even call that? Meith? I'll ask Dave.